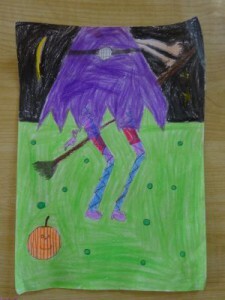 This week we listened to the story ‘Room on the Broom’. 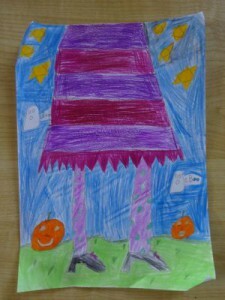 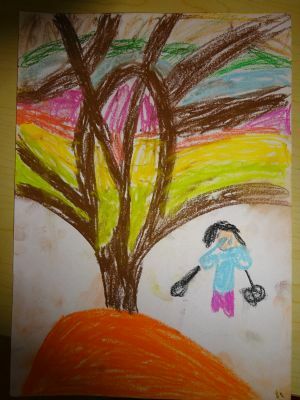 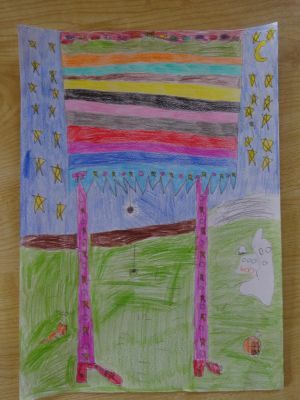 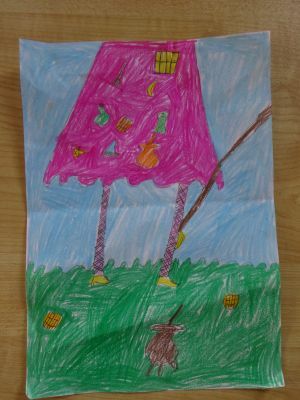 We drew pictures of a witch. Look at our lovely pictures. We have been learning lots about castles. 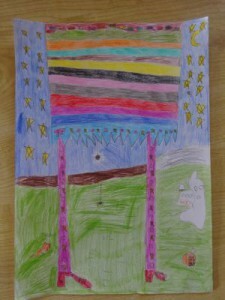 We listened to the story of Rapunzel. 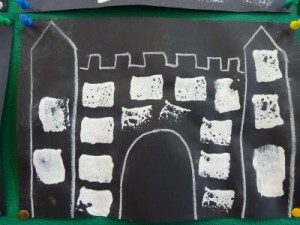 We drew an outline of a castle using chalk. 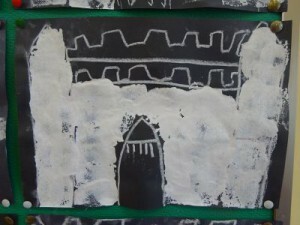 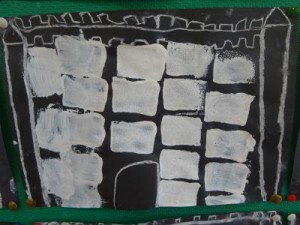 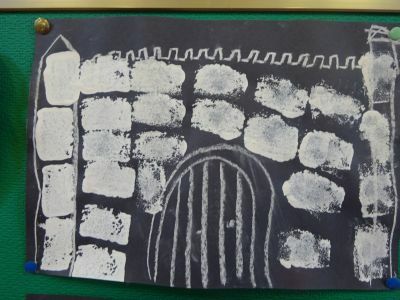 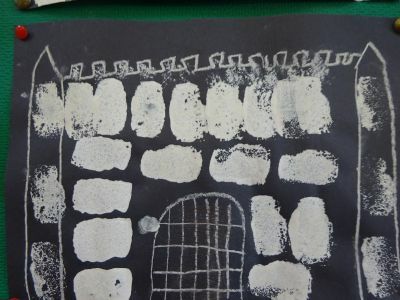 Then we printed the castle walls using sponges and white paint. 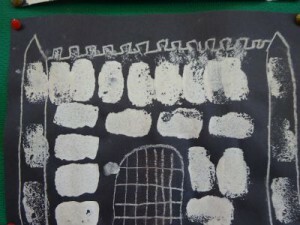 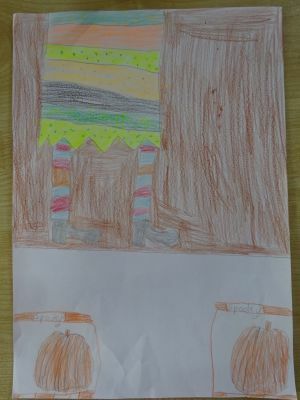 Some of us even drew a portcullis door to keep out invaders. 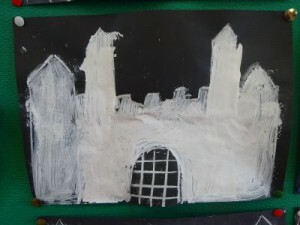 We have started learning about castles. 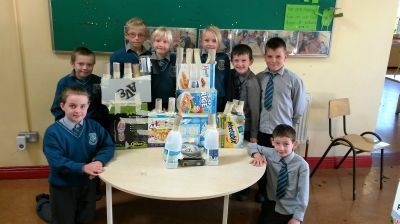 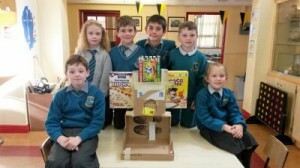 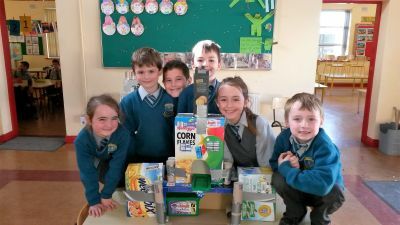 We made castles out of cardboard in our groups. 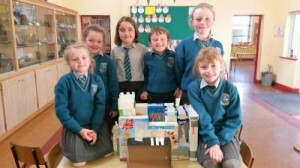 We had lots of fun working together as a team. We listened to the story ‘Scarecrow’s Wedding’. 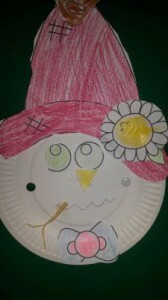 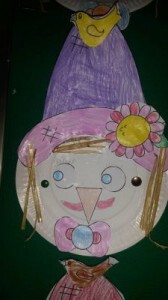 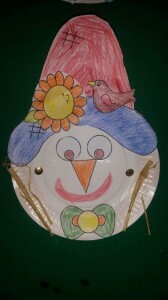 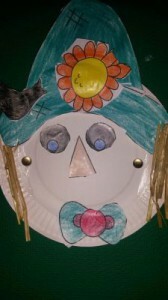 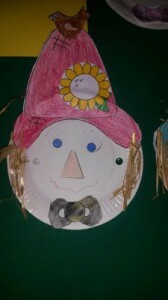 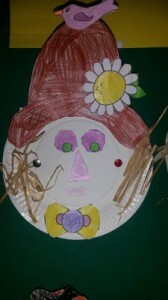 We made scarecrows out of paper plates and some of us even used straw for their hair. We have been talking about the signs of Autumn. 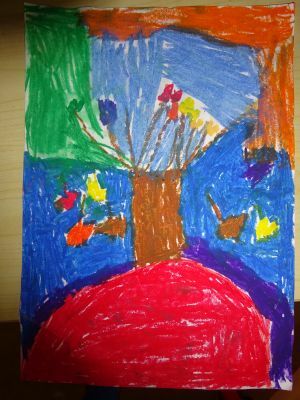 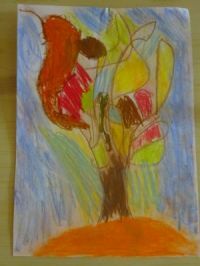 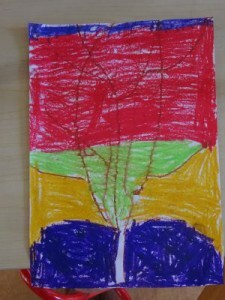 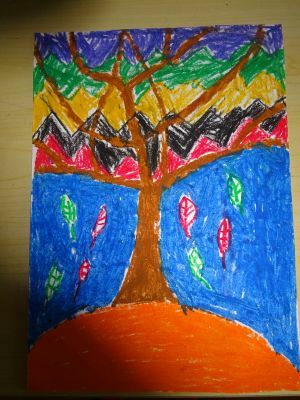 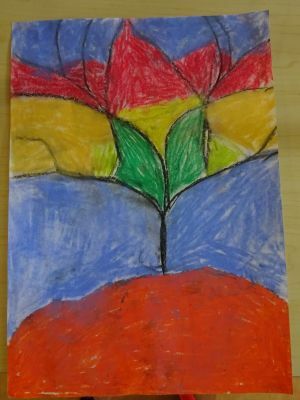 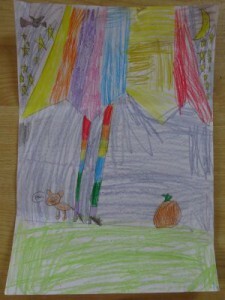 We drew colourful pictures of Autumn trees using oil pastels.